Thermo Fisher tackles t-shirts, tote bags, and more! Home/Events, Mural Production, Team Building Workshops, Uncategorized/Thermo Fisher tackles t-shirts, tote bags, and more! 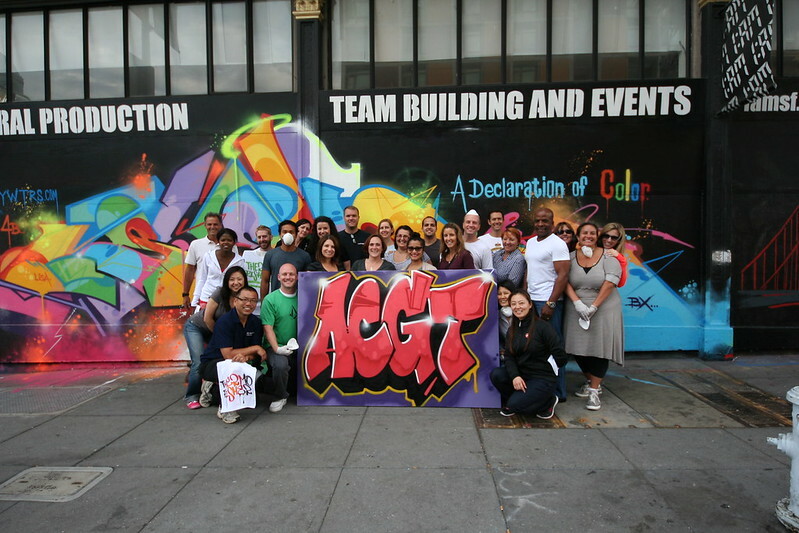 A team from Thermo Fisher dropped by the gallery for an afternoon of tagging, apparel stenciling, and mural production! 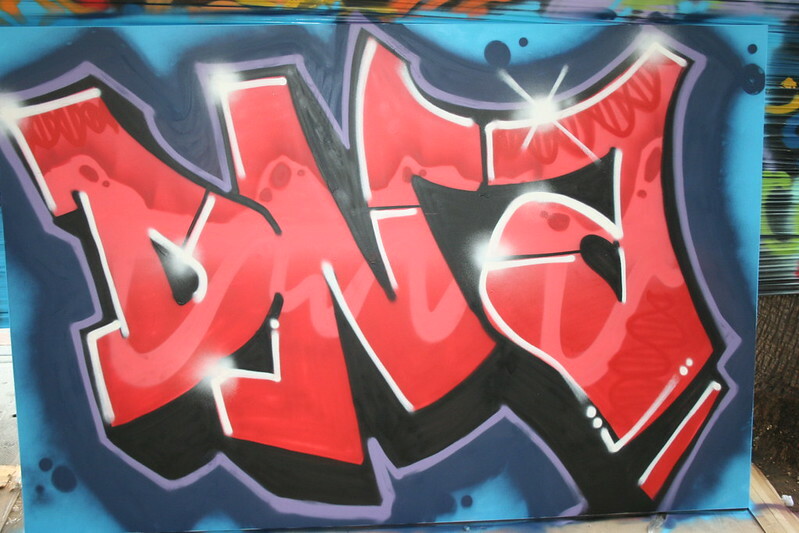 They ultimately chose the acronyms “ACGT” and “DNA” for their two canvases, both of which turned out amazing thanks to the help of the company’s energetic and skilled painters. Please email us at privateevents@1amsf.com if you want to get your group or team on the streets painting!